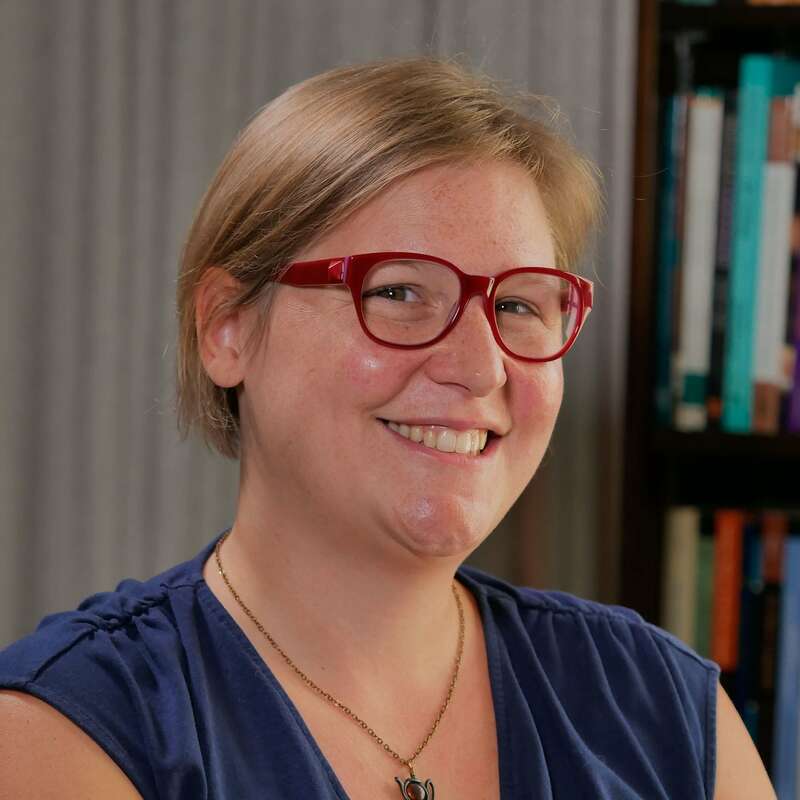 Marilee Brooks-Gillies is an Assistant Professor of English and director of the University Writing Center. Her areas of interest are cultural rhetorics, writing center theory and practice, rhetorical history and theory, and material rhetorics. Marilee received her PhD in Rhetoric & Writing from Michigan State University in 2013. In her dissertation, Crafting Place: Rhetorical Practice of the Everyday, she worked with a craft group to build a theoretical framework exploring how everyday rhetorical practices contribute to place- and space-making that also enable the negotiation of identity positions. In her free time, Marilee enjoys hiking, crocheting, baking, and reading mystery novels. Buck, Amber, Megan Condis, Kristin Prins, Marilee Brooks-Gillies, and Martha Webber, eds. Spec. issue on Craft and DIY Rhetorics. Harlot: a revealing look at the arts of persuasion, 14. 15 October 2015. http://harlotofthearts.org/index.php/harlot Brooks-Gillies, Marilee, Garcia, Elena G., Kim, Soo Hyon, Manthey, Katie, & Smith, Trixie. Special issue on graduate writing across the disciplines. Across the Disciplines, 12(3). 25 August 2015. http://wac.colostate.edu/atd/graduate_wac/intro.cfm Powell, Malea, Daisy Levy, Andrea Riley-Mukavetz, Marilee Brooks-Gillies, Maria Novotny, and Jennifer Fisch-Ferguson of The Cultural Rhetorics Theory Lab. "Our Story Begins Here: Constellating Cultural Rhetorics Practices."